"Registration information/ data" shall mean the information shared by the cardholder during the registration transaction viz. Image, Personalized phrase and PIN. "Bank" shall mean the customer's bank which has issued RuPay Debit/Prepaid or Credit Card. a. The cardholder is required to register his/her card to be able to use RuPay PaySecure. Card holder must provide the requested information, to the Bank/NPCI to validate their identity and have authorization for the usage of the Card(s) for transactions on RuPay PaySecure. b.	RuPay PaySecure reserves the right to disallow the customer from registration/usage of the service in case the information provided by the customer is incorrect/false. The cardholder assures that every information entered in the PaySecure system is true and that they are legally entitled to use the cards that they register on the RuPay PaySecure system. c.	RuPay PaySecure unregistered cards will be disallowed from being used at any online Merchant entities. d.	For all queries related to RuPay PaySecure, refer to the following URL: xxxx or call your bank's customer service numbers. a.	Cardholder Registration information will not be shared with any online merchant establishments for which RuPay PaySecure is used. 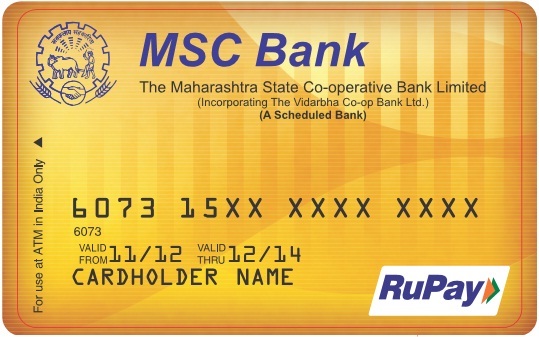 b.	Cardholder agrees to permit the Bank/NPCI to store the Registration information in their databases and are permitted to disclose it if required to do so by Applicable Law, in good faith believing that such preservation or disclosure is permitted by Applicable Law, or as reasonably necessary to (i) comply with legal process or (ii) enforce these T&Cs. Keep the image & phrase confidential and not share with any third party. Keep the OTP; internet ID & Password or challenge questions used during registration process, totally confidential and not reveal it to any third party. Ensure the Image, Phrase & PIN should not be written or stored physically or in soft form. The same should be memorized. a.	NPCI has no liability for cardholder's internet access device or password obtaining device (such as computer or mobile phones etc.) or proper functioning of its hardware or software before, during or after the use of RuPay PaySecure. b.	NPCI will in its best efforts make the web service secure from all aspects possible. However, NPCI will not take liability for any viruses or unlawful downloads that the cardholder's system may be exposed to while he accesses the internet for using RuPay PaySecure. The RuPay PaySecure solution merely offers card holders an additional level of security for their card transactions on their online merchants. RuPay PaySecure by no means intends to endorse any Merchant over others. Additionally, NPCI does not guarantee the cardholder experience with the merchant in terms of delivery of product, quality etc. NPCI does not validate the Merchant's services or offering.